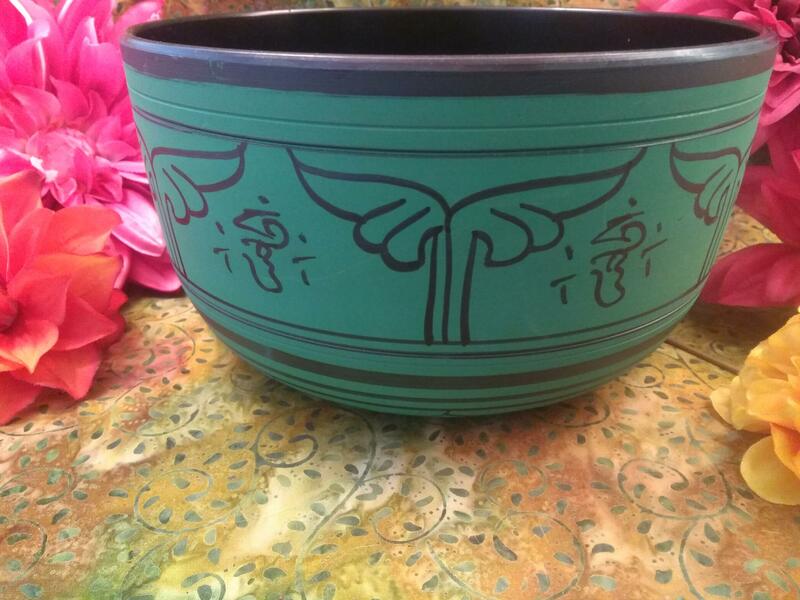 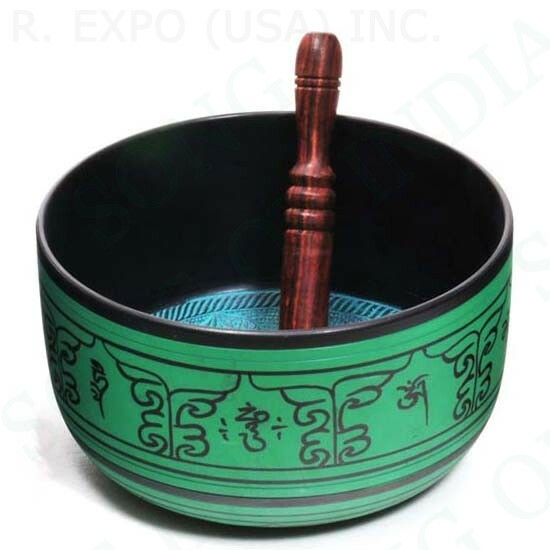 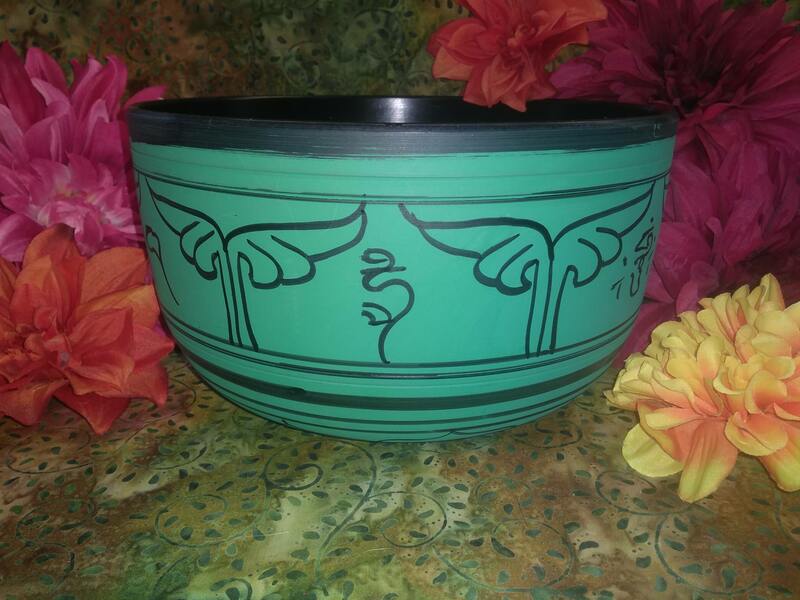 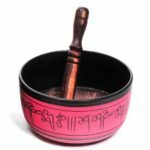 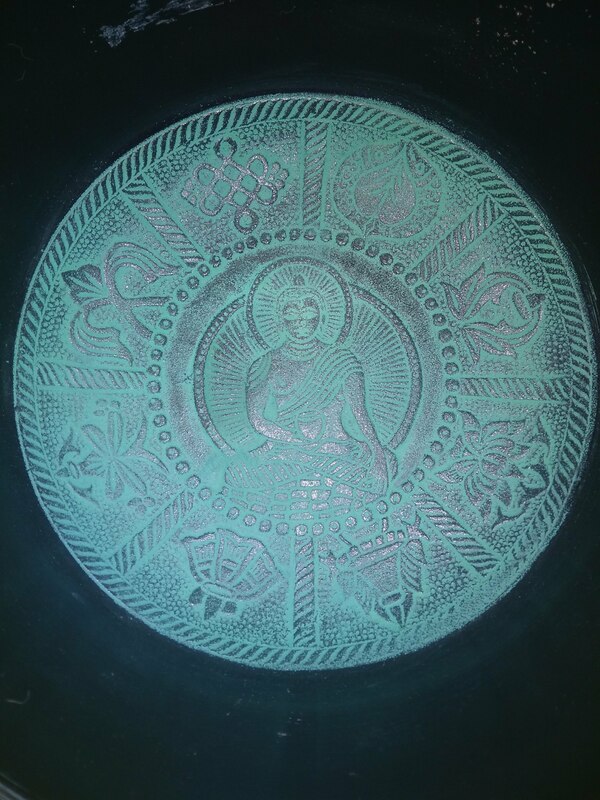 Colorful black and green aluminum singing bowl painted with the mantra “Om Mani Padme Hum” on the outside Engraved inside with a sitting Buddha surrounded by eight symbols. 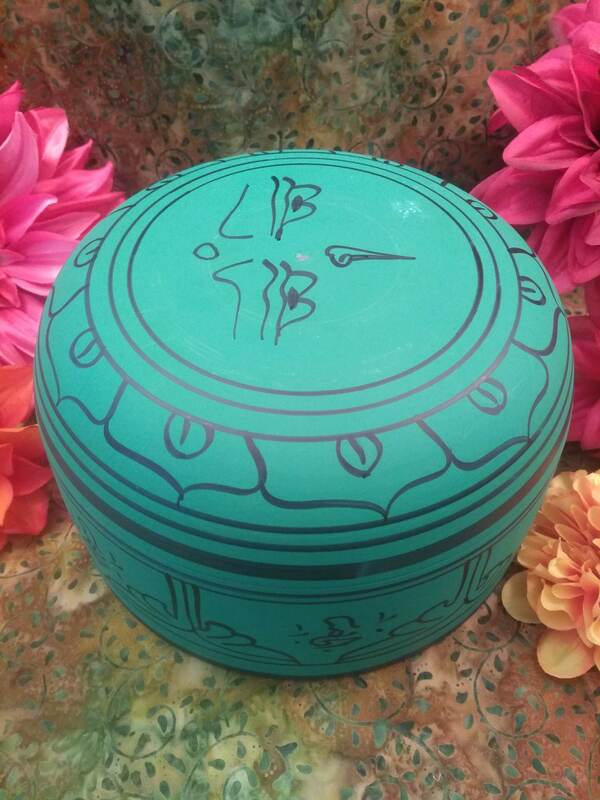 Inner decoration will appear bluish in certain lighting. 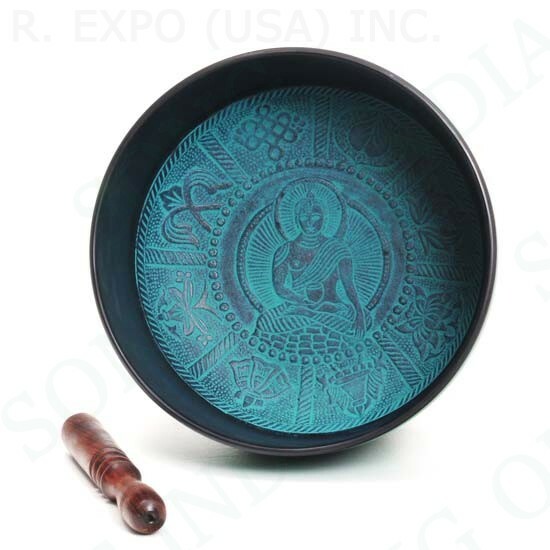 These bowls tend to have a medium tone and weigh an average of 2.75 lbs each. Comes with a wood mallet, which may vary from the one pictured. 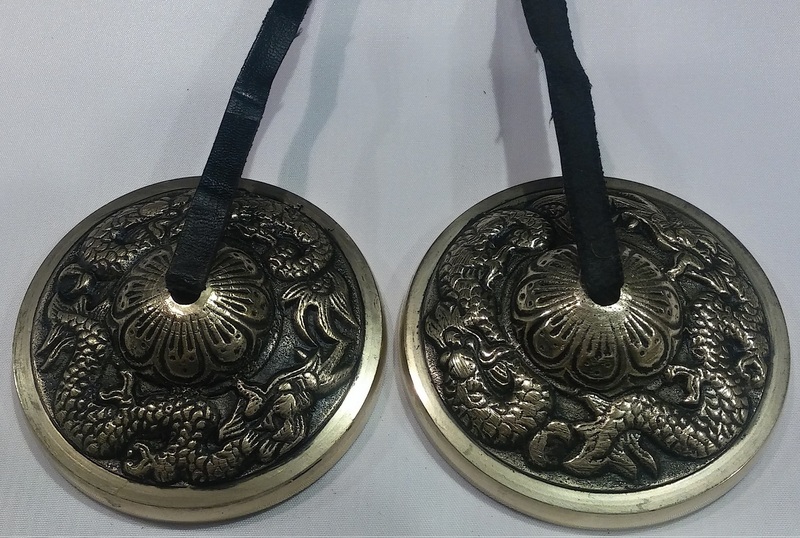 Two left in stock, may not be available for reorder after current stock is gone.